Macro photography can be done with a great number of lenses, but only dedicated macro lenses can give you the results you require. These dedicated macro lenses can help you bring out every inch of detail of your subject, even though they might just be a quarter of an inch in height. Opening the world to macro photography with proper macro lenses can blow your mind. If you have a macro lens and you’re standard Canon kit lens, you might want to do a comparison check. You’ll find that the standard kit can help you photograph small objects, but it won’t bring out as much detail as compared to using a dedicated macro lens. Using macro lenses with your Canon 6D can expand your horizons as a macro photographer even further. This DSLR is specialized in giving an optimal balance between color and contrast while giving you as much detail as possible with the help of its sensor. The camera is also known to offer a bunch of other features to help macro photographers enhance their craft. To become a better macro photographer than you are now, you need to have the right macro lenses at your disposal. If you’re having a tough time looking at the market as there are a bunch of models available for you, we’ve gathered the best macro lenses for the Canon 6D to help you come up with a sound conclusion to your search. 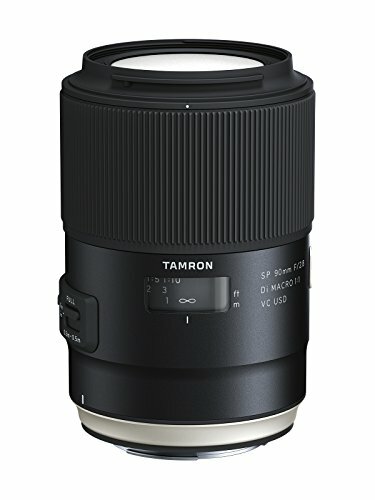 Tamron SP 90mm f/2.8 Di VC USD Macro is a cut above the rest of the group of macro lenses out on the market for many reasons. It has advanced features that might not be found in lower quality lenses, and it provides optimal performance to assist macro photographers everywhere. This particular macro lens has a metal barrel, and it is also dust and weather-sealed. As such, it brings about an optimum level of durability that tells you it can survive more than just the usual bumps or scrapes. The entire lens is also moisture proof to avoid condensation, which would otherwise lead to molds creeping up inside the lens. When it comes to performance, the lens has a built-in image stabilization feature to allow pin-sharp images to produce. High levels of detail in each macro image is crucial, and this lens can give you the results you require. The Canon EF 100mm f/2.8L Macro IS USM can help you get in really close to your main subjects with its 100-millimeter focal length. Furthermore, its f/2.8 maximum aperture lets you isolate your subject properly from the background. Your main subjects will remain as sharp as it can be while the background becomes a nice, smooth blur. 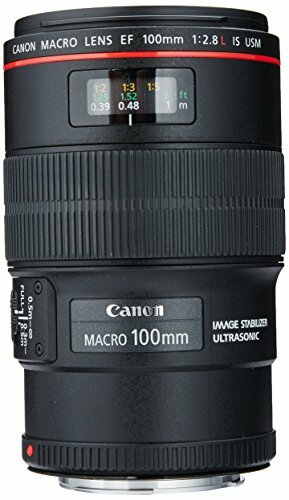 This lens is also the first among many of the brand’s macro lenses to include a sophisticated Image Stabilization feature. It can correct itself if there are accidental shakes taking place while the shot is being taken. Therefore, if you have a bit of a shaky hand problem or if there’s a slight wind blowing that would otherwise throw off the quality of your photo, the lens will automatically correct these problems for you. It also brings about the high-end build quality of other lenses found in Canon’s L-series. It is made with Ultra-Low Dispersion (UD) lens elements which assists in removing chromatic aberration while delivering astounding “Bokeh” effects. Chromatic aberration is the purple or green lines that border some areas of your image, and it is a common problem with low-quality macro lenses. If you want to bring your tiny subjects to life in the photographs you take, then consider using the Canon EF 100mm f/2.8 Macro USM with your Canon 6D. It is hailed as one of the sharpest and fastest macro lenses on the market, and with good reason. 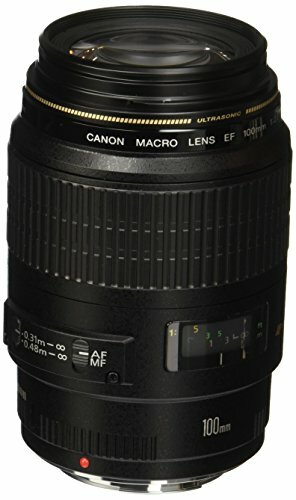 There is an L version of this lens that can do better in just about every way, but it also contains a heftier price tag. As such, this particular model is for macro photographers who don’t want to spend too much of their hard-earned cash or are on a tight budget. Despite it being a step lower than its L-lens counterpart, it can still help you produce amazing macro images as your photos come out very rich in detail. However, there is some vignetting that’s noticeable in your images when you’re shooting with its largest aperture, but they still look natural. When shooting with this lens attached to a full-frame sensor camera, like the Canon 6D, then you’re going to get a 1:1 reproduction of your subjects. Lastly, the build quality of this lens is not to be trifled with as it is built to last. It is arguably one of the best macro lenses you can get, and it’s even found in a reasonable price point. There are times when macro photography becomes difficult to accomplish as you can’t quite get the results you’ve been trying to accomplish. However, with the right macro lenses at your disposal, while using your Canon 6D, you can get the images that are full of color and detail with just the right amount of contrast. We hope that this short guide assisted you in letting you arrive at a sound decision as to which macro lens to add to your camera bag.